A new study out of the University of Denver offers 157 million reasons for a city to embrace No Kill. The exact number — or rather, dollar value — is $157,452,503. That’s the total positive economic impact the City of Austin, TX, has realized since passing Resolution 20091105-040, the “No Kill plan.” And, the study authors note, that’s “the most conservative possible measure of the data.” In other words, the true economic benefit is likely to be much higher. A mandated minimum live release rate of 90%. The University of Denver study measured “the social, environmental, and economic impacts” of the No Kill plan and found it had a positive impact on animal welfare, on human and public health, on social cohesion, and on the bottom line: leading to increased jobs, relocation of businesses to Austin, and more economic spending. The No Kill plan resulted in significant increases in the adoption rate and a corresponding decrease in killing. Adoptions between the baseline year and the last year for which data was available showed dog adoptions were up 67% and cat adoptions were up 49%. Conversely, dog killing was down 94% and cat killing was down 91%. The live release rate went from 54% to 95% for cats and from 70% to 98% for dogs. While cost per animal went up about $237, these costs were more than offset by the economic benefits. The study found that from 2010-2016, additional spending to implement the No Kill plan amounted to $40,938,565. This expense, however, included those by non-profit organizations like Austin Pets Alive. From the standpoint of city officials, however, the spending by APA is not a cost, but a benefit, as it shifts cost of care away from taxpayers and towards private philanthropy. The true cost — what the study calls the “No Kill premium”– to city taxpayers from 2010-2016 was roughly $30 million, the majority of which was shelter staffing. Not only is staffing also a benefit as it provides employment and sources of additional community spending by those employed individuals, but the premium represents only a small increase in the overall City of Austin budget: from 0.2% to 0.3% or 1/10th of 1%. Meanwhile, the additional spending by individuals within Austin on veterinary and pet care services as a result of the ordinance for the same period amounted to $49,307,682. An additional $25,333,237 was spent on other pet-related expenses as a result of the No Kill plan. These are additional expenditures, not total expenditures, and they are “attributable to the Resolution”: a total of $74,640,919. There were still other benefits: “creating a pet friendly environment will affect a city’s ability to attract new residents.” It will also attract businesses: Google’s decision to build a new office tower in Austin is directly attributable to the City’s No Kill plan. Google executives noted that “it is attractive to a young, vibrant, pet-loving workforce.” In turn, Austin’s pro-pet policies permeate throughout the community, leading to a wider pet friendliness, including on rates of rental housing, which in turn draws more people. In addition to economic impacts of roughly $150 million, the study finds broader social impacts including gains in public health and social cohesion. In other words, we know No Kill is good for animals — they live instead of die — but is it good for people? The answer is yes. Finally, the study found that the No Kill plan is “positively associated with some forms of contact and interaction (civic engagement) and with perceptions of neighborhood friendliness” and “to the social and civil health of the city as a whole.” It also led to people looking out for animals by being more willing to report conditions of neglect/cruelty when they feel people are not living up to their responsibilities. 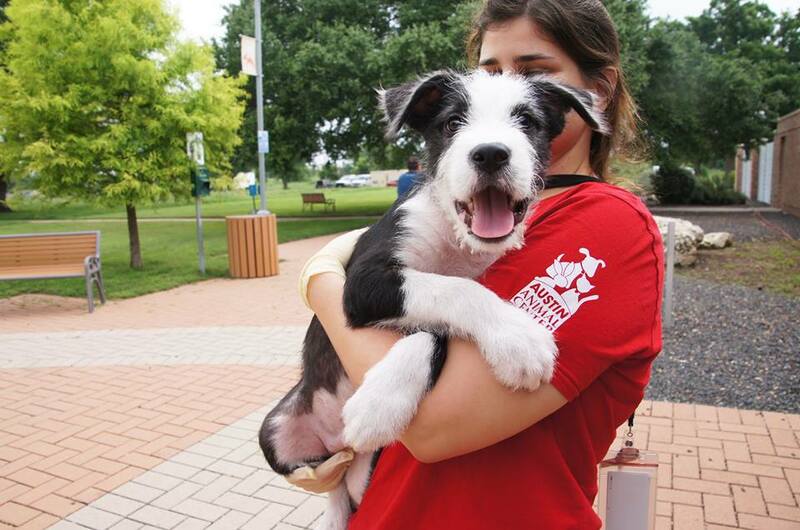 While full of good news on the effect of Austin’s No Kill Plan, the report is not perfect. For example, it included costs borne by private organizations in the negative ledger column, rather than seeing a shift from taxpayers to private philanthropy as a gain, at least for taxpayers. It also suggested that length of stay issues — even when that happened in a foster home — should be balanced against lifesaving goals because of cost and potential stress on animals. As to cost, the economic benefits far outweighed costs by several-fold. As to stress, it can (and was) mitigated via socialization and training and time spent in foster care. For an animal, spending more time in the “custody” of a shelter, when that includes time spent in foster care (animals don’t know it is a “foster home;” to them, it is just a home) or in a shelter where they are being walked, are playing with other dogs in groups, and have plenty of TLC does not necessarily equate with stress. In fact, as other studies have shown, in a well-run shelter, stress actually goes down over time. Moreover, even if it were true that the animals experienced greater stress than they otherwise would have during the duration of their stay at the shelter(s), to suggest that such stress is on par as a possible harm with killing is a false equivalency. While it is important to mitigate stress in a shelter environment as much as possible, killing, which is the ultimate harm, should never be posited as a viable alternative. Were such a study to have assessed the impact of foster care on orphaned children, for example, it would have been unthinkable to posit ending the lives of such children as a viable option to minimizing any stress children may experience as a result of their unavoidable circumstances. Killing, except in the case of animals who are physically irremediably suffering, should never be seen as a tool for avoiding another outcome, for no other outcome could ever be as harmful to an animal. Another concern about the study is that it did not fully measure local sales tax revenues from spending attributable to the No Kill plan — at the Austin rate, almost $2 million in additional local revenues to city coffers during the same time period — as well as increases in property tax revenues from both new construction and the increasing value of existing properties as a result of economic growth driven by companies like Google coming to Austin. Had it done so, it would have found that these additional sources of government revenue helped offset some of the direct city expenses related to the increase in the municipal budget for animal services. Moreover, while it used actual costs, it used very conservative estimations for the economic benefits. Indeed, it used “the most conservative possible measure of the data,” meaning the benefits were more likely higher and therefore the offsets via sales tax and property tax revenues would be even more significant. Finally, despite the positive economic impact in favor of the city, local businesses, and the overall economy of over $157,000,000 with an investment of just over $30,000,000 — a return on investment of over 400% — and an admission that costs were “more than offset” by benefits, the authors will not call No Kill a “cost effective” approach. This is a self-contradiction. For one, the sample size — one community — is too small to draw such a general conclusion. Second, the sales tax rate is only 1% — also small — and only one measure of direct revenue (property tax rates for both new construction and increasing value are another). Third, to the extent that government’s role is not to enrich itself but to create economic vitality across its economy and population, Austin succeeded beyond even the most ambitious declarations. Fourth, budgets are not created with scientific precision. They are based on politics and wants. Admittedly they are often too low, but sometimes favored departments have pet projects that can be jettisoned without impact on live release rates or are higher than necessary to get the job done. Otherwise, how does one explain the numerous other communities who have achieved Austin-level live release rates at a lower per capita cost? Most importantly, however, it is contradicted by the study data itself. Indeed, “cost effective” may be the understatement of the year. Not only is No Kill cost effective in Austin, it created an economic windfall. No Kill “can be legislated.” And it should be. The study, “Legislating Components of a Humane City: The Economic Impacts of the Austin, Texas ‘No Kill’ Resolution,” is available by clicking here. * For those who falsely claim that No Kill means turning animals away, for example, the study notes that for the year 2016 when the City finished with a 98% live release rate for dogs and 96% for cats, the City accepted stray animals all year long, but did ask people who wanted to turn their animals in to wait until they had room for only 15 days of the year if it wasn’t an emergency. At the same time, they analyzed whether these policies increased stray intakes, increased the number of animals found DOA, or were relinquished to shelters in surrounding communities and they did not. In fact, stray pick up and DOAs declined from the baseline year. In short, there was no increase in abandonment.